You won’t need much equipment to start training judo. Judo training takes place on a mat, which is normally provided by judo schools. 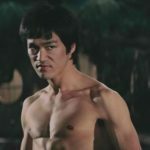 The goal is to submit the opponent by using throws, pins, strangulation, or arm lock. Competitors can use only the power of their own body to accomplish this goal. 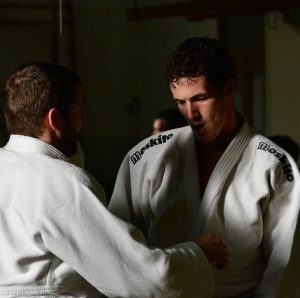 The most important part of judo equipment is a special uniform called ‘judogi’, or simply ‘gi’. It consists of three parts: a bottom (‘zubon’) a top (‘uwagi’), and a belt (‘obi’). The colors of the clothing are white and blue. Judogi uniforms are usually white, except at high-level competitions when one of the competitors wears blue in order to be easier for judges and spectators to distinguish them. 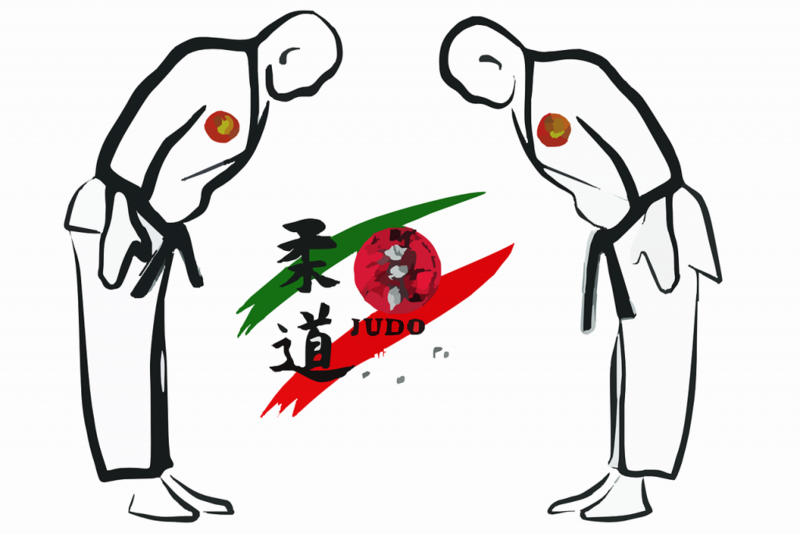 This rule was introduced in 1986 and is sometimes frowned upon by more traditional judo masters because the colour white is a symbol of purity of the art of judo. 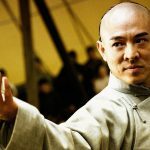 It is important that the uniform is comfortable and durable, not too flexible, stiff, or slippery, in order to allow the performance of grappling techniques and avoid accidents. There are several well-known and respected manufacturers that produce uniforms in traditional style, paying attention to the quality of the uniforms. If you want something really special, KuSakura is a Japanese company that has been producing judogi for almost 100 years and they have a world-class reputation. The variety of belt colors designate different skill levels of competitors. Usually, the light blue belt is worn by beginners, followed by a white, and then brown (for seniors) or purple belts (for juniors). However, colours sometimes vary from country to country. 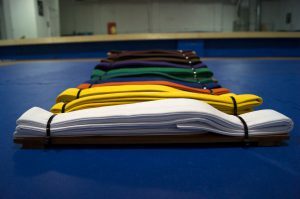 These are the belts worn by students and they must all be attained before being considered a judo master. Black belt designates mastery in the discipline and those who wear a black belt are called “Yūdansha” (“a person who has dan”) because black belts are ranked according to a ranking system called “dan”. This ranking system, called ‘kyu-dan’ was invented by Kanō Jigorō, the founder of judo and has since been adopted by many modern martial arts. You won’t need any special shoes for judo because you will train barefooted. Optional equipment includes knee pads, elbow pads, wrist pads, mouth guards, and other protective items. These can come in handy since injuries in judo are quite common because of the nature of the sport. You might also consider buying a grappling dummy so you can practice your moves even when you don’t have a partner. Add a sports bag, an energy drink or a snack to give you fuel for training, and a T-shirt to wear under your gi to the list and you are good to go!